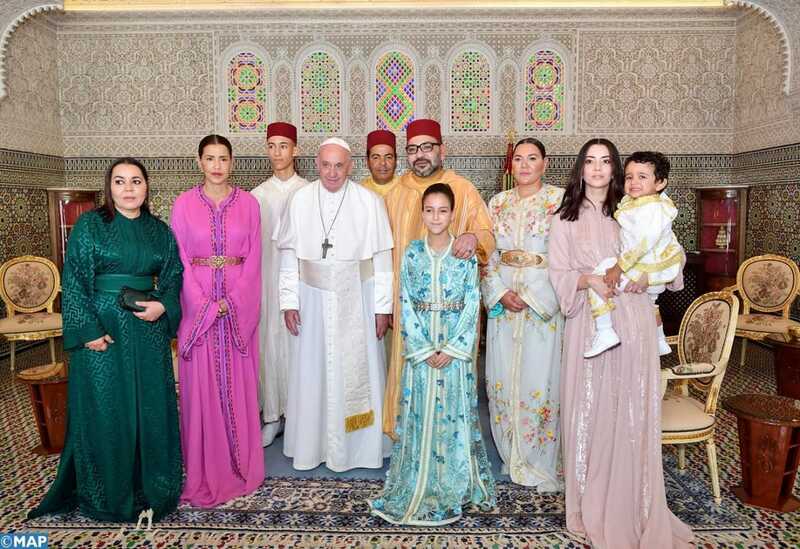 His Holiness Pope Francis is undertaking a two days official visit to the Kingdom of Morocco this weekend March 30th and 31st, 2019, at the invitation of the Commander of the Faithful, His Majesty Mohammed VI King of Morocco. 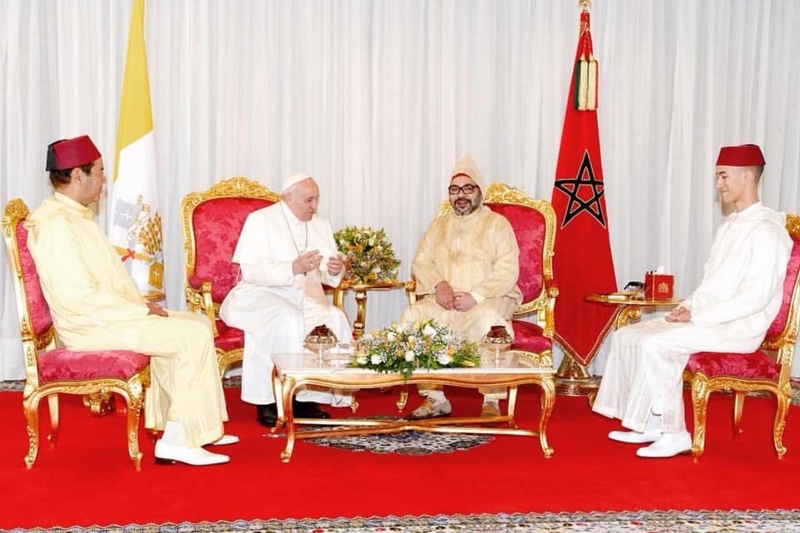 Taking into consideration the religious status and spiritual responsibility assumed by the King of Morocco as the Commander of the Faithful and His Holiness the Pope, their historic meeting, during this visit, will contribute to promoting the values of fraternity, peace and tolerance among peoples and nations and to consolidating interreligious dialogue, understanding and coexistence. This visit marked by intense activities of His Majesty the King of Morocco and His Holiness the Pope has an important dimension of interreligious dialogue and brotherhood between the different faiths. In this regard, it is noteworthy that Constitution of the Kingdom of Morocco guarantees to everyone the freedom to practice one’s faith. His Holiness Pope Francis is the second Pope to visit the Kingdom of Morocco. At the invitation of the late King of Morocco His Majesty Hassan II, His Holiness the Pope John Paul II paid an official visit to Morocco in 1985. This visit was the first to be undertaken by St. John Paul II to a majority Muslim country. He was given a warm welcome on the streets of Casablanca and pronounced at the stadium in Casablanca, a landmark speech that emphasized the highest ideals of Islam and Christianity in the presence of 80,000 young Moroccans. The current visit of His Holiness Pope Francis to the Kingdom of Morocco, which lives up to the expectations of an international context marked by a loss of benchmarks and the rise of all kind of extremisms, is an extension of the legacy left behind by the meeting, 34 years ago in Morocco, between His Majesty the late Hassan II and His Holiness Pope John Paul II. 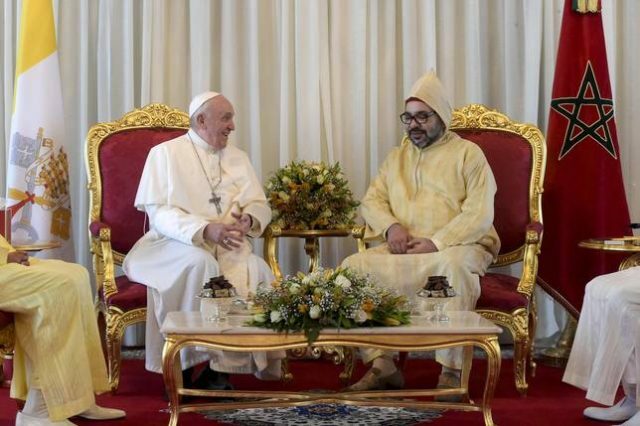 The visit of Pope Francis as a “pilgrim of peace and fraternity” to Morocco, a land of coexistence, tolerance and moderation, will contribute to promoting interreligious dialogue and to fostering peace and fraternity between Christians and Muslims. In a video message to the people of Morocco on the eve of his visit, His Holiness Pope Francis thanked God for granting him this opportunity to visit Morocco. He also thanked His Majesty King Mohammed VI for his kind invitation. “I come as a pilgrim of peace and fraternity, in a world that greatly needs it,” the Pope said in in this video message. This visit will be marked by intense activities of the Commander of the Faithful His Majesty the King of Morocco and His illustrious guest His Holiness the Pope. His Holiness the Pope will, during his State visit to Morocco, have a welcome ceremony and meeting with the Moroccan People, the authorities, civil society and the Diplomatic Corps accredited to Morocco on the Esplanade of the Hassan Tower in Rabat, followed by a visit to the Mausoleum of Mohammed V and a meeting with His Majesty King Mohammed VI at the Royal Palace, in Rabat. His Holiness the Pope will also visit to the Mohammed VI Institute for the Training of Imams, Morchidines and Morchidates, have a meeting with Priests, religious, consecrated persons and the Ecumenical Council of Churches in the Cathedral of Rabat, as well as with migrants at the premises of diocesan Caritas of Rabat.